The band was initially formed as an informal get-together of well known musicians from famous bands. The past two years has however seen this formation grow into a firm and surprisingly successful group in its own right. It came about in the following way: On an especially inspiring evening in 1998, the Asian melodic metal elite, in the form of Saber Tiger and Concerto Moon gave a concert in Tokyo. At the end of it, not only the fans in the "Meguro Rock Meikan" concert hall were ecstatic, but it saw the beginning of a deep friendship between the musicians of both bands. A year later singer Takao Ozaki suprised everyone by leaving Concerto Moon. Their guitarist, Norifumi Shima, decided shortly after to record a solo album. During his search for a suitable singer for his solo project, Norifumi was able to talk the Saber Tiger vocalist, Takenori Shimoyama, whose voice had always fascinated him, into joining him. Shimoyama and Norifumi originally planned to work together for just two songs, but they soon discovered astounding similarities in their dreams, likes and dislikes. 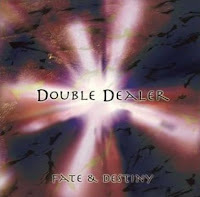 Shima's solo album project soon turned into a kind of Shima & Shimoyama project which was soon renamed Double Dealer. Another Saber Tiger musician, in the form of drummer Yoshio Isoda, soon joined Double Dealer and with bass player Kohsaku Mitani and keyboarder Toshiyuki Koike two colleagues from Concerto Moon were also hired. Mitani had been playing in Concerto Moon since 1996, Koike joined him two years later. Between 25th. February until 5th. 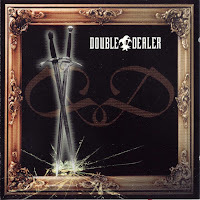 April 2000 Double Dealer worked in the "Bazooka Studio 450" with engineer Yasuhide Okuyama on their self-titled debut album, which was personally produced by Norifumi Shima himself. As additional guest guitarist they invited their compatriot Akira Kajiyama, known for his work on Holy Man, the solo album of former Deep Purple/Rainbow/Malmsteen vocalist, Joe Lynn Turner, to play the bonus instrumental track, "Fire Drake". 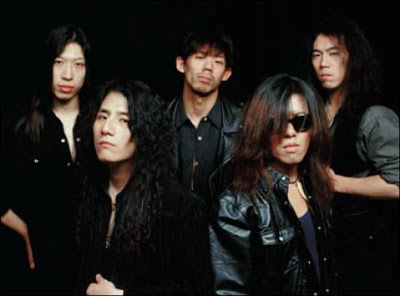 Helpful support in the choir parts was obtained from Manabu Takaya and Tatsuya Nakamura from another befriended band, Blindman. The album was released in Japan in Summer 2000 and received positive reviews from the press. The country's most important metal magazine, BURRN gave it 93 out of 100 points and paved the way for the concerts which Double Dealer subsequently gave in Tokyo, Nagoya and Osaka. The band's reputation spread to Europe and finally, in November 2000, the band was able to leave a huge impression in France. 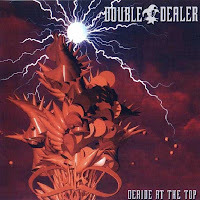 Double Dealer had received extremely positive reviews in Europe last year as well as exciting previews of their second album entitled Deride At The Top. 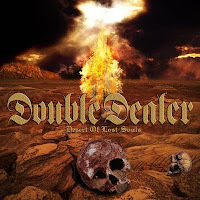 Continuing in the same style as their debut work, Double Dealer's new output displays an exciting mixture of hard-kicking guitar riffs from band leader Norifumi Shima, agile rhythms, heavy organ playing and great song lines from frontmann Takenori Shimoyama. Deride At The Top consists of twelve tracks, including the brilliant "Time To Die", the new version of the Concerto Moon classic.